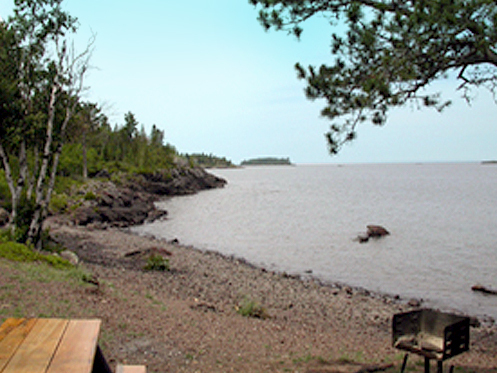 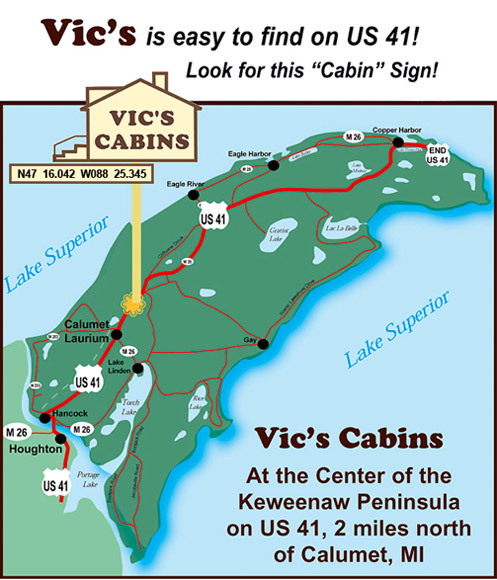 Vic’s Cabins, located in Calumet, Michigan, is centrally located on the Keweenaw Peninsula. 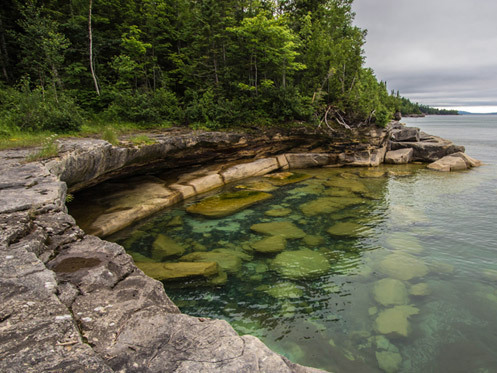 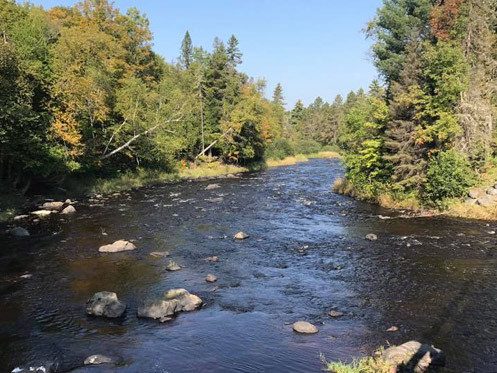 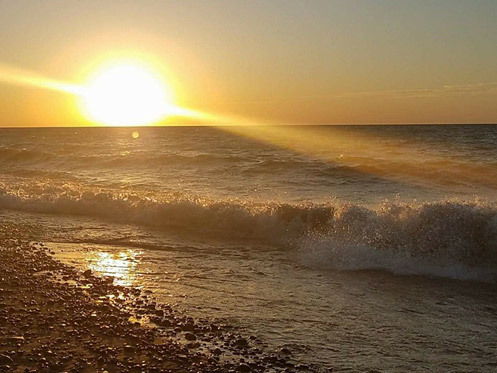 The peninsula is blessed with hundreds of miles of shoreline along the south shore of Lake Superior and numerous lakes providing a wide source of water related activities from fishing to kayaking. 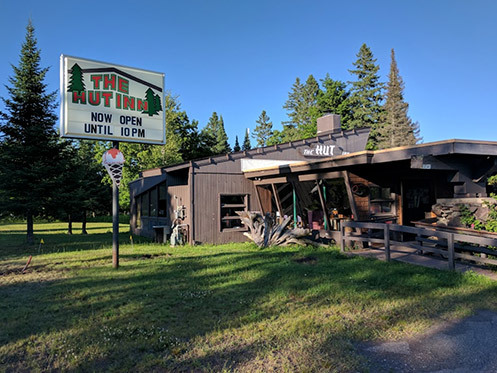 Golf courses are just a short 20-40 minute drive away; Michigan Tech Golf Club, Keweenaw Mountain Lodge, Calumet Golf Course. 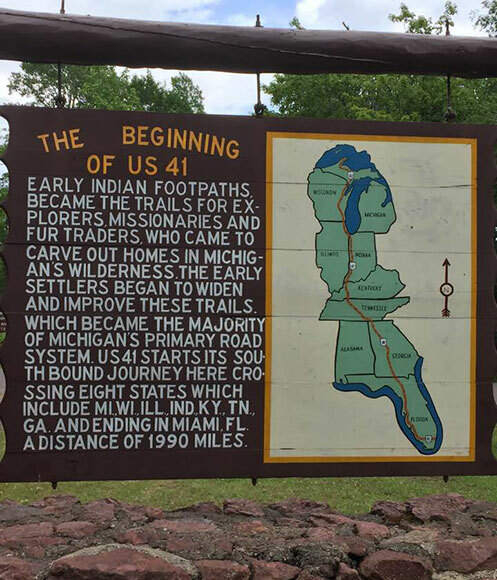 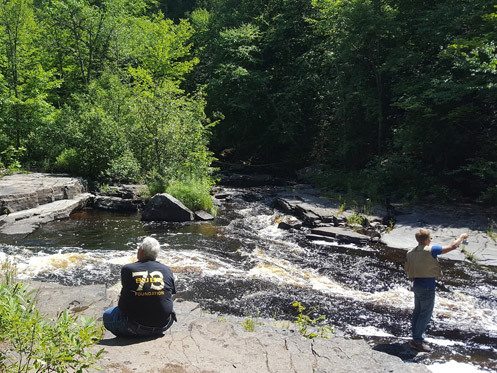 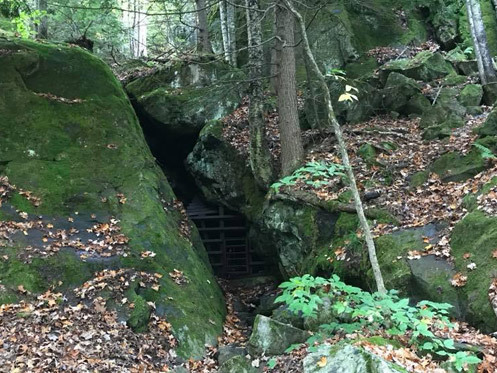 Whether you are into hiking, biking, rock hounding or just taking in the beauty of forests and natural waterfalls, there is something for everyone here. 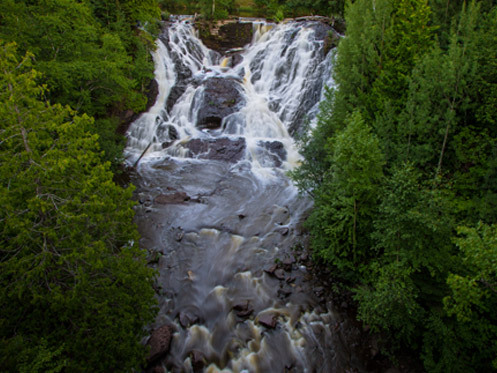 Visit Keweenaw Convention & Visitors Bureau to see more local attraction.